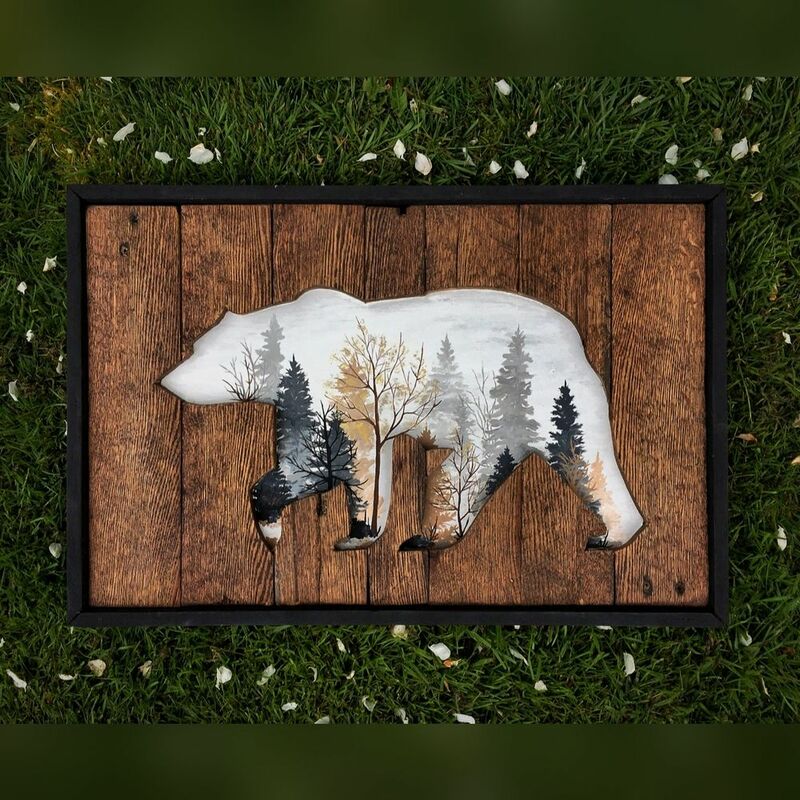 A beautiful piece created on reclaimed wood of a bear and within’ the cutout is a foggy Autumn morning. And to bring it all together, a crisp black frame. Measures at 16″x24″. Woodworking and painting all in one.